I must learn to guard my heart against the evil inclination that attacks it. I must guard my family, my church, my house and all things of G-d against the evil inclination that tries to destroy the inner sanctuary of our lives. The people’s encampment on all four sides of the Tabernacle symbolized how they protected the holy edifice and the Torah that resided in its innermost sanctum. Certainly, the Torah does not need our protection – on the contrary, the Torah and its commandments protect us. 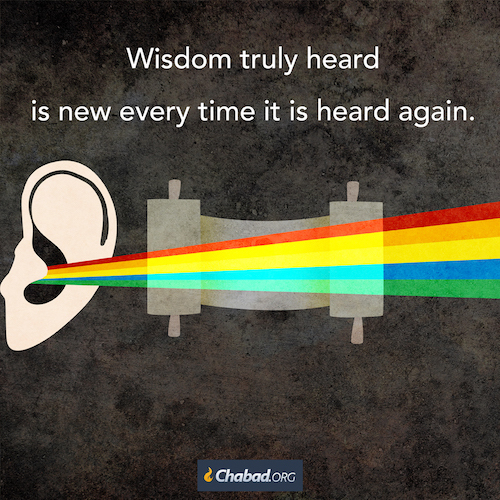 However, G‑d chose to entrust us with the noble mission of protecting the Torah. Similarly, we must guard our personal, inner sanctuary – within our hearts and within our homes – from all four sides: from cool spiritual indifference on the cold north; from hot, lustful passions on the warm south; from self-gratification over brilliant accomplishments on the morning east; and from dark despair on the evening west.1 Hitva’aduyot 5745, vol. 4, p. 2103; Reshimot 62 (p. 15); Or HaTorah, Bemidbar, vol. 4, pp. 1360–1361, 1396–1397; Zohar 2:156a; Igrot Kodesh, vol. 6, p. 185.